Brief of the presentation: In the Philippines, 1 out of 5 college students drop out due to financial problems. This issue has persisted due to the lack of financial services for low-income and poor students. The situation in other developing countries is not too far from the Philippines. In "The Role of Financial Inclusion in Quality Education, InvestEd will present its findings about the struggles of marginalized students and how the world must prepare and act to end this problem. InvestEd will talk about its innovative Student Loan Program and how technology can solve open up access to quality education. 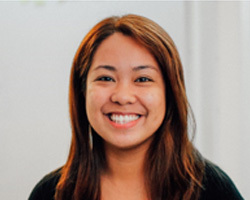 Brief Profile: Carmina is the CEO and Founder of InvestEd Philippines- a social enterprise that fights for financial inclusion in higher education. In May 2017, she was included in Social Enablers’ Top 100 Most Inspiring Social Innovations and Entrepreneurs around the world. Her recent work involved fundraising for international non-profits in the fields of college access and success and youth unemployment. In the past, Carmina has started several initiatives- she co-founded Watson Institute Philippines, a summer entrepreneurial program for youth innovators, entrepreneurs and student leaders; Peace is Simple, a global non profit organization that advocates for United Nation’s Sustainable Development Goal of Peace, Justice and Strong Institutions and People Power Against Corruption, a non-profit that fights corruption using technology and non-violent methods. She has a degree in Industrial Engineering from the University of the Philippines and an Entrepreneurship Certificate from the Asian Institute of Management.